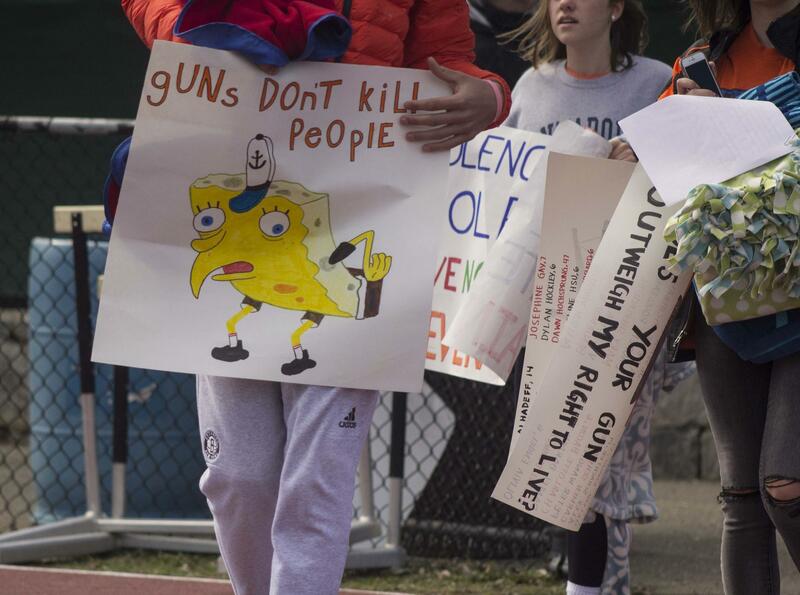 Students at Ridgefield High School hold posters and signs as they participate in the National School Walkout on April 20, 2018. 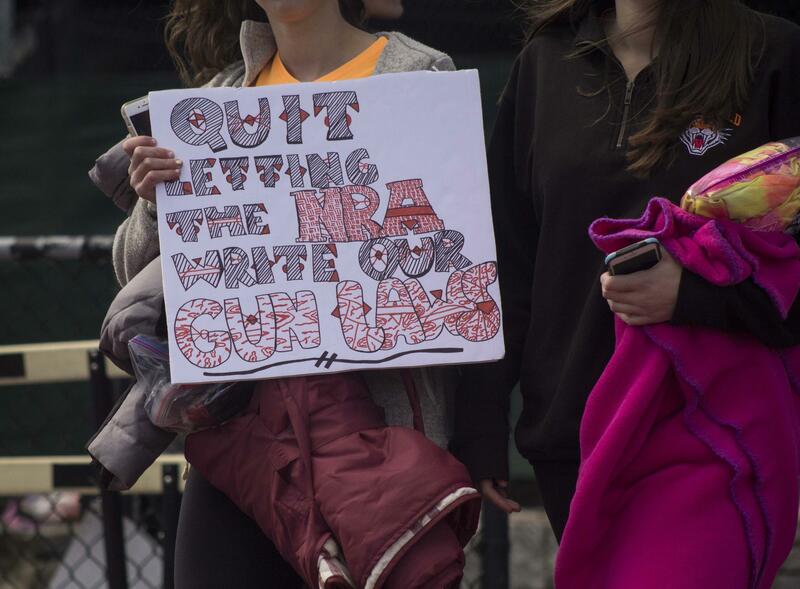 Students at Ridgefield organized the walkouts nationwide. Lane Murdock, a sophomore at Ridgefield High School speaks to other students. 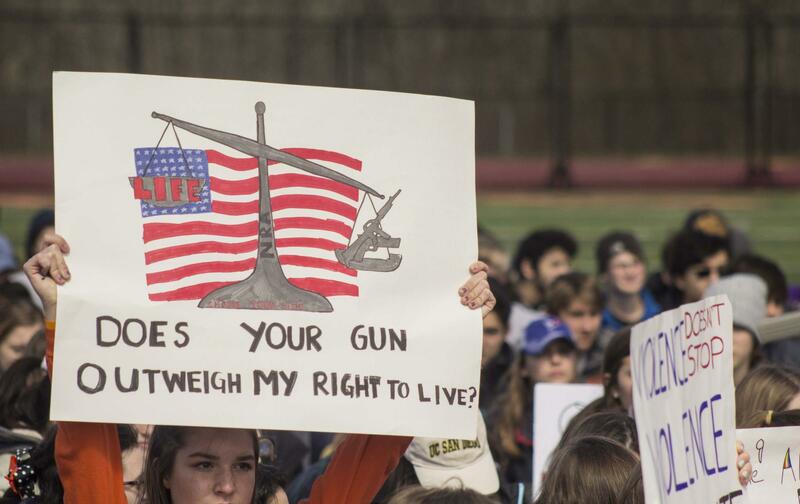 Ridgefield High School in Ridgefield, Connecticut is one of the many schools across the nation to participate in the National School Walkout on April 20. Students at Ridgefield organized the national event. 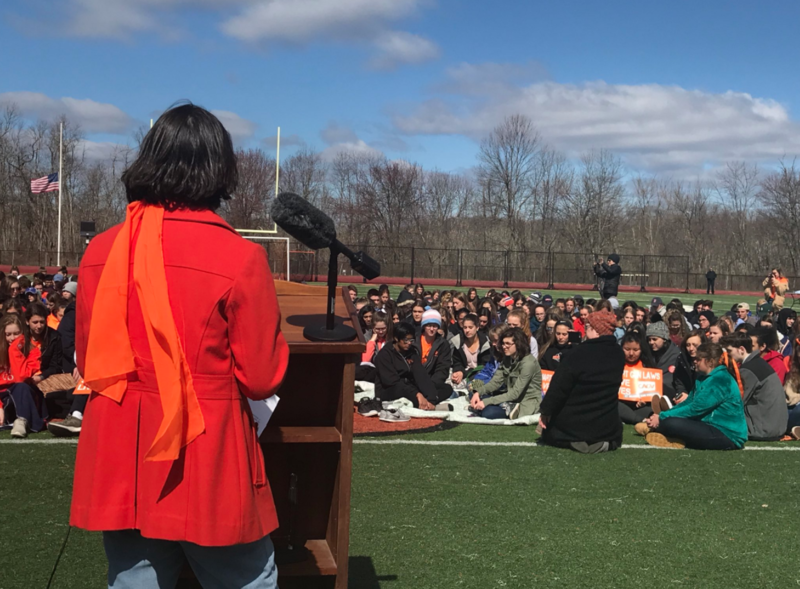 Hundreds of students gathered on the football field of Ridgefield High School as part of the National School Walkout on April 20, 2018. 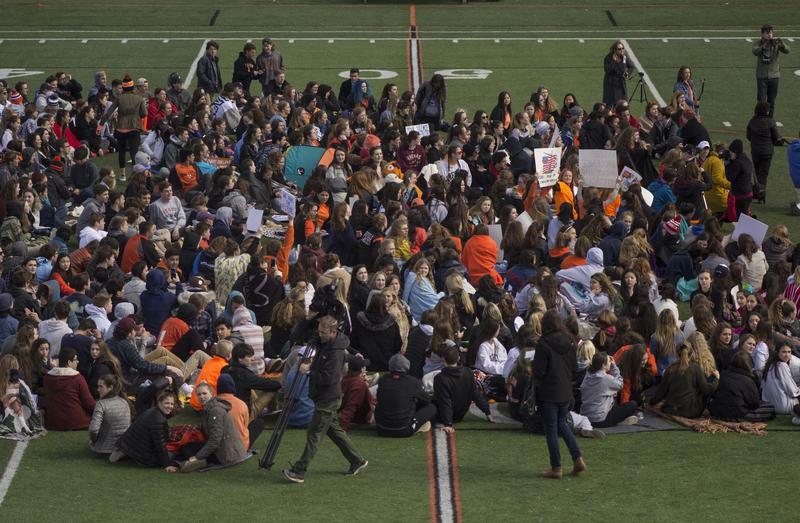 Students at Ridgefield organized the walkout's nationwide. Lane Murdock, a sophomore, led the charge toward a student-driven demonstration that took place at the school’s football stadium. Ridgefield’s walkout was special because Murdock started the national movement that led to the day’s events. It began with a change.org petition that she started in the wake of the Marjory Stoneman Douglas High School shooting in February. Murdock asked students to sign the petition in support of a walkout on April 20 — the 19th anniversary of the Columbine Shooting. She brought that up when she spoke to her classmates. “Some of us weren’t even born yet and we still haven’t had the changes we have asked for time and time again,” Murdock said. "Seeing my peers mobilize like this, seeing us all come together in a way like I’ve never seen before -- it gives me chills," said Grant Yaun, 17, another one of the organizers. Students not only called on lawmakers to enact tighter gun laws, but they said they want them to stop taking money from the National Rifle Association. As Connecticut Senator Richard Blumenthal addressed Ridgefield’s student body, he boasted about the poor rating he’s received from the NRA. Organizers invited the local League of Women Voters to hold a drive at the event to register new voters. It’s their hope that students register to vote in order to effect change. WSHU's Cassandra Basler contributed to this report. 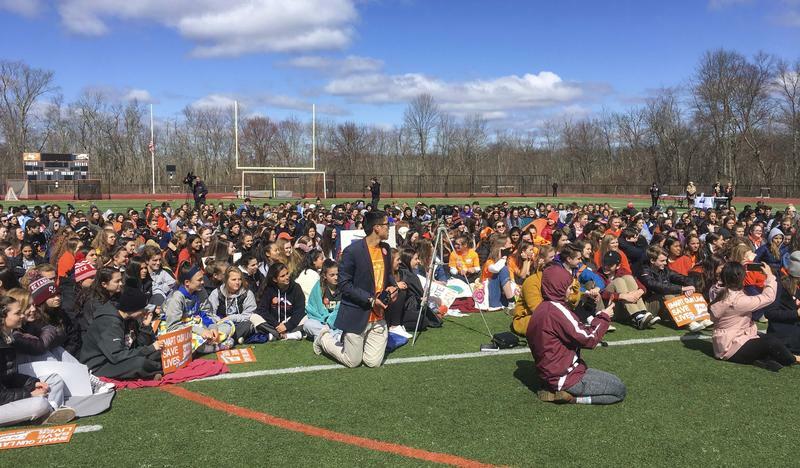 Students from Ridgefield High School are taking aim at gun violence. 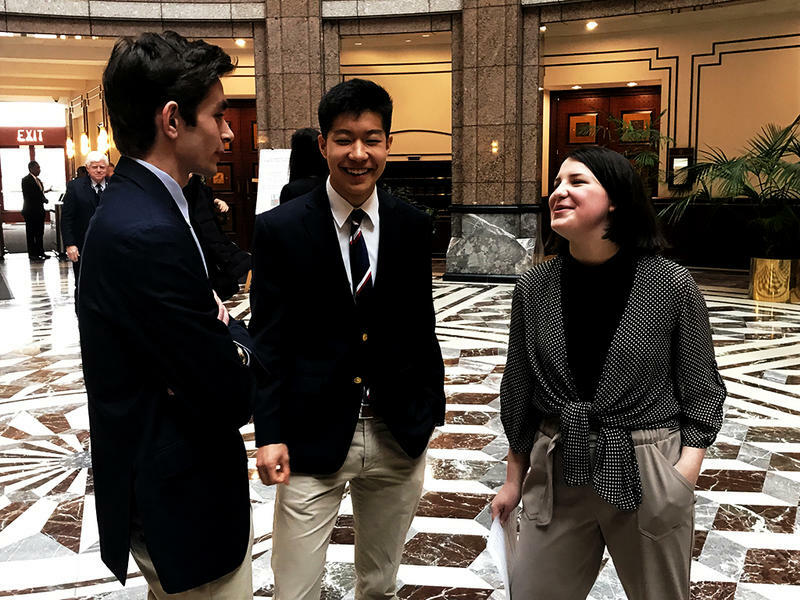 Members of Connecticut’s congressional delegation invited them up to Hartford Friday to talk about their plan for a walkout for students nationwide.